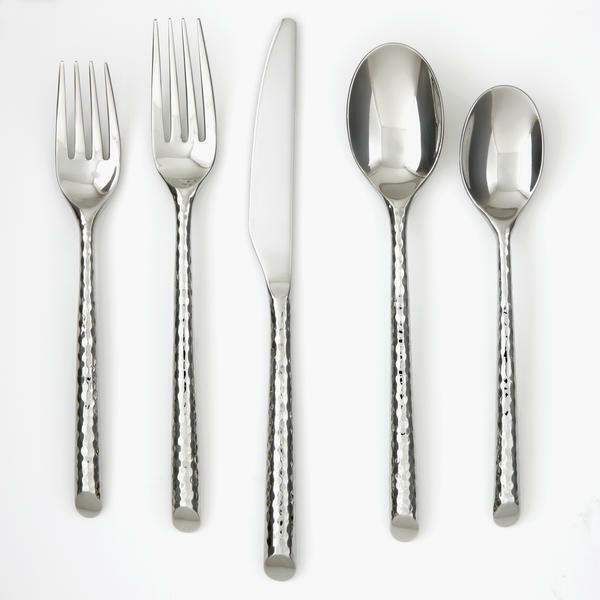 Our stainless steel flatware hammered patterns are crafted to simulate a hand hammered finish. The texture adds character and beauty for a lifetime of entertaining. 18/10 Finest Stainless Steel. Dishwasher Safe. Never Needs Polishing.